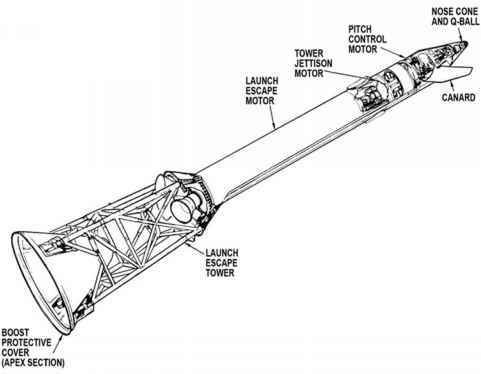 Over a one-year period between 1966 and 1967, five Lunar Orbiter spacecraft were dispatched to the Moon to carry out comprehensive photo-reconnaissance of its surface, largely in support of the Apollo programme. It was mostly through this programme that engineers gained the skills necessary to accurately track an object around the Moon and control its flight path. Controllers were surprised to discover that, unlike orbits around Earth where the gravity field is nearly uniform, the orbits of these spacecraft were being perturbed by regions of higher density in the Moon's crust that often seemed to be associated with the circular maria. It appeared that events in the Moon's past had bequeathed it with a gravity field which, to scientists of the late 1960s, seemed unexpectedly uneven. Subsequent analysis suggested that the majority of these mass concentrations, or 'mascons' as they came to be known, are due to denser mantle material having been brought nearer the surface by the impacts that formed the basins, and, to a lesser extent, by the layers of dense basalt that were extruded onto the surface and filled these basins to form the maria. Over succeeding decades, building on this discovery, careful study of the flight paths of spacecraft in orbit around other bodies in the solar system would reveal much about their large-scale structures. Mascons complicated the mission planning process for Apollo through their profound effects on lunar orbits. Since they are largely on the near side, they accelerate spacecraft slightly when compared to the far side. Over a remarkably short time, and owing to some help from perturbations due to Earth's gravity, orbits are modified by being lowered on the near side and raised on the far side until, if no intervention occurs, they cause the spacecraft to impact the lunar surface. As later high-precision gravity maps of the Moon would reveal, Apollos 15 and 17 happened to fly over two of the most intense mascons - those associated with Mare Serenitatis and Mare Imbrium. On Apollo 15, FIDO compensated for the effects of the mascons by targeting the perilune of the descent orbit a little high in the expectation that while the crew slept, it would drop to about 15 kilometres, the preferred altitude from which the LM should begin its descent to the surface. On Apollo 14, which flew around the lunar equator, this strategy had worked well, but because the intensity of the Imbrium and Serenitatis mascons had not been allowed for, the perilune of the Apollo 15 orbit descended below 15 kilometres while the crew were asleep. The monitoring flight controllers reckoned that by the time Scott and Irwin were ready to begin their final descent, their perilune would be down to around 10 kilometres, which was much lower than everyone had trained for. However, with their usual foresight, the planners had inserted a possible adjustment to the orbit into the flight plan in case this happened, and CMP Al Worden made a small trim manoeuvre to raise the perilune. On Apollo 16, no trim was required. Its equatorial flight path took it away from the strongest mascons, lessening the dropping of its perilune which, in any case, FIDO had targeted even higher for the DOI manoeuvre. For Apollo 17, the lessons from Apollo 15 had been learned, and the DOI manoeuvre was split into two parts to deal with the influence of the Imbrium and Serenitatis mascons. As with the previous flights, the CSM America burned an initial DOI manoeuvre. This took their perilune down to a safe 26.5 kilometres which, overnight, dropped to 22 kilometres. After the separation of the LM Challenger, the two spacecraft went behind the Moon for the last time before landing. While out of sight of Earth, America returned to its 110-kilometre circular orbit, and Challenger burned the second DOI manoeuvre that dropped its perilune right down to 13 kilometres. Since they only had half an orbit to go before their final descent to the surface, there would not be enough time for mascons to perturb their trajectory. Thus, by the end of the Apollo programme, the planners had become pretty savvy.